Making a tea does not have to be difficult, but if you make a tea wrong, the taste of the tea can be anything but desirable. One of the reasons that some do not like tea, or some teas, is because they do not know how to prepare the tea. A green tea brewed too high temperature and for a long time produces an undrinkable tea. Several Asian countries have developed ceremonies such as the famous Japanese tea ceremony, the Korean tea ceremony, or the Chinese Gong Fu ceremony with roots in Fujian province. The tea ceremonies function as a highlight of the taste of different types of teas, but they also fulfill a cultural and traditional part. The preparation of the tea is an important part of the experience and the taste. We want to share with you some tips and information about preparation of tea. The preparations suggestions you find on the product information pages about each tea in our assortment is a pointer of how to prepare the tea and a measure to go for. Taste is individual and some prefer more or less strength. Changing amount of tea or water requires other steeping times. The flavor can be changed by increasing the amount of tea and lowering the steeping time. The tea can then be steeped more times on the same tea leaves. In Asia, usually smaller teapots are used to prepare tea. The water is a very important part of the preparation. In Sweden we are spoiled with a tasty water of relatively good quality, but making tea with other types of water means a completely different result. To brew a tasty cup, you also need tasty water. Do not let the water boil for long and do not boil the tea itself. Water that boil for a long time drains the water on oxygen and gives a flat taste to the water. 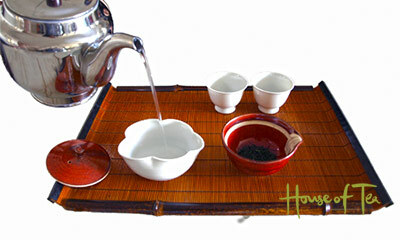 One of the most important factors when preparing your tea is that the water is soft. Water hardness is a measure of the number of minerals in the water and it is mainly Calcium that is reffered to. A soft water is water where the calcium and magnesium levels are low. In a large part of Sweden the water is soft, both in the groundwater and in the drinking water. Stockholm&apos;s drinking water is between 4-6 degrees DH. Information about the tap water hardness in your area is something your municipal waterworks can answer. If you only have hard water available, a Brita filter may be an option. The filter makes the water soft, but it also changes the taste of the water to a large extent and you have to try out what works best for yourself. 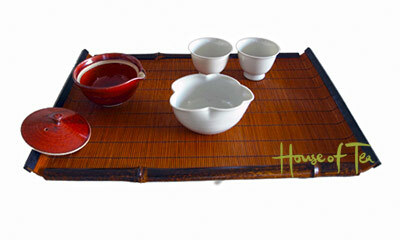 To prepare tea, a teapot is appropriate, but you can also use a Gaiwan (Chinese tea cup) or a glass that can withstand heat. There is a variety of materials used for the production of teapots. Porcelain, ceramics, glass, but also some type of metal in the form of a Tetsubin teapot. All metal is not good as it leaves taste in the tea. The material that the teapot is made of affects the taste of the tea. The thickness and material&apos;s heat properties affect how long the tea is warm. If the teapot is unglazed, the tea will taste of the teapot and the teapot will taste of the tea. Therefore, many tea enthusiasts use one tea pot for a tea variety, or a tea category. Ceramics have better heat insulating properties than glass and does not drop the heat as fast. Yixing is the most famous production place for teapots in China, while Tokoname is the equivalent place in Japan. Yixing Teapots are famous in China and are usually produced from a natural clay with good qualities extracted in Yixing. The teapots from Yixing are usually unglazed and the tea takes the taste of the minerals from the clay and the teapot get taste from the tea. The most famous clay in the Yixing region is Zisha, purple clay, which is extracted in Yixing. The teapots insulate the heat incredibly well, and are very suitable for darker teas. Yixing Teapots is stoneware burned at high temperature. Tokoname is one of Japan&apos;s most famous production sites. Here too, it has been traditionally extracted natural clay, called red clay, which has similar properties as clay from Yixing. The tradition is rarely maintained, and under the name red clay you will find mixed clay today. Banko is a type of teapot that is produced in the Mie Prefecture in Japan. The teapots are produced by Japanese purple natural clay, which has very good qualities, but distinguishes itself from the purple clay in Yixing. The teapots are burned at very high temperatures. Tea can look in all possible different ways. Tea leaves can for example be shaped into small beads, lightly rolled leaves, or flat elongated leaves. The variations are many. The variations of all teas make it difficult to assess the weight. Although a small deviation of the weight in our steeping suggestion does not always significantly change the taste, it often becomes larger deviations than you think when weighing on free hand. 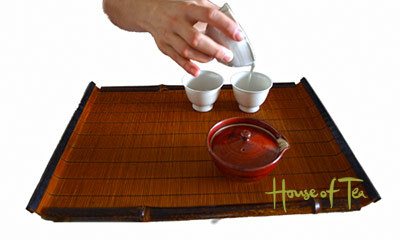 We recommend a digital wave for the purpose or training on preparation of Gong Fu. 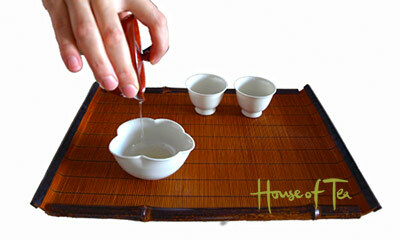 For teaspoons where the leaves are rolled into small beads like many oolong teas, a tablespoon becomes about 5 grams. This also applies to the green tea Lung Ching, Long Jing. A stuffed tablespoon for a tea where the leaves are very small like Pu-erh Superior gives almost seven grams. 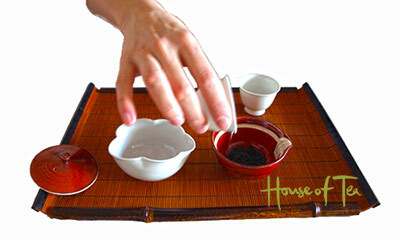 For white tea like Bai Hao Yin Zhen, use about two well-stocked tablespoons to get about 4 grams of tea. 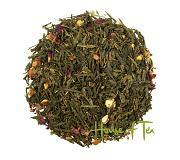 For teas like the green tea Tai Ping Hou Kui, it is simply not possible to give an approximate indication. Tea ball is a popular way to strain tea, and it can work well for flavored teas or for herbs, but do not use tea balls for natural premium teas with larger leaves. The tea ball encloses the tea leaves and does not allow the tea leaves to open. If you put rolled-leaf leaves in a tea ball, these will not unfold and the tea leaves will not emit flavor as intended. Another popular way to strain tea is to use tea filters that you can bring to your workplace or miscellaneous. Here too, there is the problem of tea leaves that are contained and can not be unfolded freely. Most of the teapots we are selling have built-in strainers of ceramics, glass or metal that are practical. The alternative is to strain through a sieve when pouring the tea from the teapot. For natural teas we do not recommend using any kind of sweetener, nor milk. These are to be enjoyed in their original flavor. If you want sweet tea, we recommend looking for teas that naturally has a sweet taste. In the case of flavored teas, sugar or honey can enhance the taste of the flavoring. In the end, it&apos;s what you like that counts and not our recommendations. To prepare Japanese Sencha tea a teapot is used, suitable for the purpose is a Japanese teapot. They are available in different designs but they are well adapted for Japanese tea. Because the tea leaves are small, the design of specifically Japanese teapots suits well, the sieve is adapted to the small tea leaves that get stuck as a lump. To a deciliter of water is normally used 2.5 grams of tea. It is always best to use a scale as teas differ in volume, but a heaped teaspoon is about 2.5 grams of Japanese tea. Japanese green tea is prepared at a low temperature and it is strict with the temperature. 70° C or 75° C degrees gives a completely different tea, and is suitable for different teas. Even if this is not always the case, try a lower temperature on exclusive tea. Boil the water to 100° C, cool to 90° C, it goes very fast. Pour the water into the pitcher. From the spoon pour the water into the tea cups. From the tea cups pour back to the pitcher. You have by this preheated the tea cus and reduced the temperature of the water. The temperature of the water is now between 80° C - 70° C. The best way is to measure the water temperature, but you can also learn the temperature. Generally, let the tea steep for a minute and pour out all the water to the last drop. Pour out the water into the tea pitcher and then in to the tea cups and the taste will be the same for everyone. Remove the lid to the next pouring and let air flow. Next pouring, pour the hot water into the pitcher and you have a temperature of about 80° C a little depending on how long you have waited. The second steeping but pour out the from the teapot immediately, the third steeping pour off immediately or let it take about 10 seconds depending on the tea.